Please see the October pool maintenance timetable below. 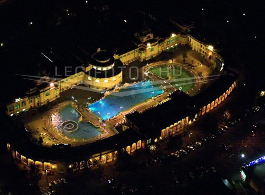 I want to book for szechenyi bath for 25-Oct. Will it be open air or inside? 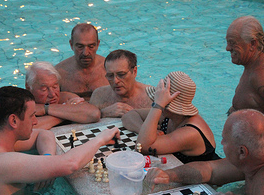 there are outside and inside pools as well, and all of them are open throughout the year. Hello! 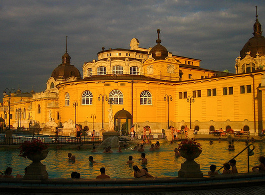 We want to go to Szecchenyi Bath on 16 October. I red that outdoor fun whirlpool will be closed, but the other oudoors pools are opne, rigth? yes, the other outdoor pools are open! It usually depends on the day of your visit. 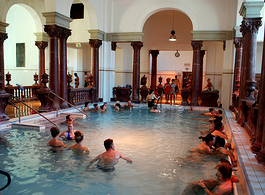 On weekends the Baths is usually more busy, when the waiting time can be 30min-1 hour even. We would recommend you to book a fast track online ticket to avoid the queues. Hello, I just read that the outdoor pool will be closed on 14th Oct 2pm to 6.30pm. Does that mean there will be no outdoor facilities at all during that time? 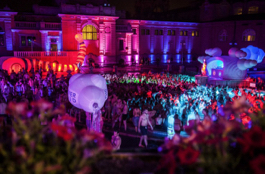 Will the outside pool reopen at 6.30pm until 10pm for day ticket holders? the outdoor hot thermal pool will be still open during the maintenance works. Hello, we have 2 coupons from the city sightseeing tour each for 500HUF off. My husband and i wanted to use those, where can we indicate on the booking form regarding this? Do we pay the full price and on the day, present the coupons to get the 1000HUF back? you can use your coupons on the spot at the cashiers only. Unfortunately, coupons are not valid for the online bookings. Have a nice stay in Budapest! but why dont do the reserve? Tickets will be on sale in the beginning of January. Thank you for your patience.